Lease for $281/month for 36 months with $2,565 due at signing and 10,000 miles per year. Payment expires on 04/30/19. Estimated Lease payment based on 36 months and $2,565 due at lease signing. Excludes title, taxes, registration, and license fees. Mileage charge of $0.25 per mile over 10,000 miles. Not all consumers will qualify. Residency restrictions may apply. Lease for $271/month for 36 months with $2,568 due at signing and 10,000 miles per year. Payment expires on 04/30/19. Estimated Lease payment based on 36 months and $2,568 due at lease signing. Excludes title, taxes, registration, and license fees. Mileage charge of $0.25 per mile over 10,000 miles. Not all consumers will qualify. Residency restrictions may apply. Lease for $275/month for 36 months with $2,608 due at signing and 10,000 miles per year. Payment expires on 04/30/19. Estimated Lease payment based on 36 months and $2,608 due at lease signing. Excludes title, taxes, registration, and license fees. Mileage charge of $0.25 per mile over 10,000 miles. Not all consumers will qualify. Residency restrictions may apply. Lease for $276/month for 36 months with $2,616 due at signing and 10,000 miles per year. Payment expires on 04/30/19. Estimated Lease payment based on 36 months and $2,616 due at lease signing. Excludes title, taxes, registration, and license fees. Mileage charge of $0.25 per mile over 10,000 miles. Not all consumers will qualify. Residency restrictions may apply. Lease for $292/month for 36 months with $2,649 due at signing and 10,000 miles per year. Payment expires on 04/30/19. Estimated Lease payment based on 36 months and $2,649 due at lease signing. Excludes title, taxes, registration, and license fees. Mileage charge of $0.25 per mile over 10,000 miles. Not all consumers will qualify. Residency restrictions may apply. Lease for $287/month for 36 months with $2,662 due at signing and 10,000 miles per year. Payment expires on 04/30/19. Estimated Lease payment based on 36 months and $2,662 due at lease signing. Excludes title, taxes, registration, and license fees. Mileage charge of $0.25 per mile over 10,000 miles. Not all consumers will qualify. Residency restrictions may apply. Lease for $290/month for 36 months with $2,686 due at signing and 10,000 miles per year. Payment expires on 04/30/19. Estimated Lease payment based on 36 months and $2,686 due at lease signing. Excludes title, taxes, registration, and license fees. Mileage charge of $0.25 per mile over 10,000 miles. Not all consumers will qualify. Residency restrictions may apply. Lease for $289/month for 36 months with $2,713 due at signing and 10,000 miles per year. Payment expires on 04/30/19. Estimated Lease payment based on 36 months and $2,713 due at lease signing. Excludes title, taxes, registration, and license fees. Mileage charge of $0.25 per mile over 10,000 miles. Not all consumers will qualify. Residency restrictions may apply. 1Not available with special finance or lease offers. See dealer for details. 2In Stock Only! Dealer Trades/Ordered Vehicles/Locates not inclluded in this program. For returning Faulkner Buick GMC Loyal customers. 3Not available with special finance or lease offers. See dealer for details. 4See dealer for details. 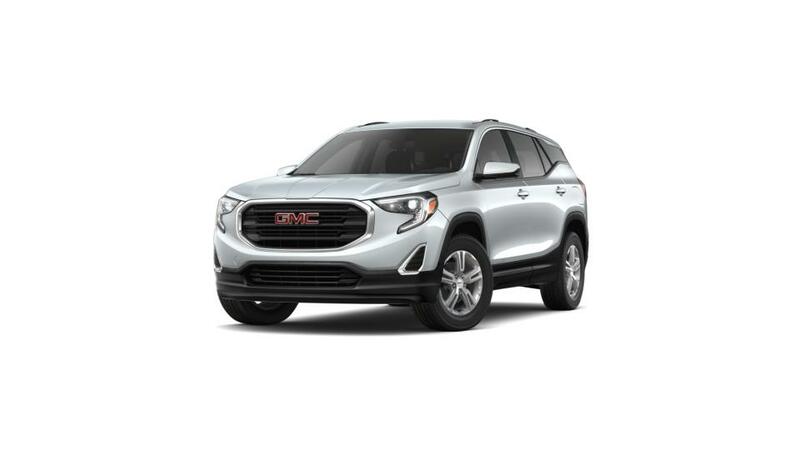 CONQUEST INCENTIVE FOR CURRENT OWNERS/LESSEES OF A 2005 OR NEWER NON GM (I.E., NON-BUICK, CADILLAC, CHEVROLET, GMC, HUMMER, OLDSMOBILE, PONTIAC OR SATURN) PASSENGER CAR OR TRUCK 5Monthly payment is $13.89 for every $1,000 you finance. Average example down payment is 4.5%. Some customers may not qualify. Not available with leases and some other offers. Take retail delivery by 4/30/19. See dealer for details. Lease for $364/month for 36 months with $3,558 due at signing and 10,000 miles per year. Payment expires on 04/30/19. Estimated Lease payment based on 36 months and $3,558 due at lease signing. Excludes title, taxes, registration, and license fees. Mileage charge of $0.25 per mile over 10,000 miles. Not all consumers will qualify. Residency restrictions may apply. Lease for $363/month for 36 months with $3,558 due at signing and 10,000 miles per year. Payment expires on 04/30/19. Lease for $366/month for 36 months with $3,586 due at signing and 10,000 miles per year. Payment expires on 04/30/19. Estimated Lease payment based on 36 months and $3,586 due at lease signing. Excludes title, taxes, registration, and license fees. Mileage charge of $0.25 per mile over 10,000 miles. Not all consumers will qualify. Residency restrictions may apply.